Hon’ble Supreme Court in its landmark the judgment decision of in case of Bharat Sanchar Nigam Limited 2006 (2) STR 161 (SC) had held observed that in order to attract levy under “transfer of right to use goods”, the transfer should be at the exclusion of the transferer transferor and once the right to use the goods is transferred, the owner again cannot transfer the right to others. However, Hon’ble Bombay High Court in the case of Tata Sons Ltd. and Anr. Vs. The State of Maharashtra And Anr. Pronounced on 20th January, 2015 (Bom. ), distinguished the remarks of Hon’ble Supreme Court in BSNL (Supra) and held that in absence of any such indication provided in the Act, non-exclusive and conditional even where there is transfer of right to use goods to multiple users, it would also attract tax under the Transfer of Right to use goods for any purpose Act, 1985. In the above judgment, there was an agreement executed by Tata Sons with the Tata Companies providing detailed guidelines for use of the Tata Name and the trade mark which was neither ‘exclusive’ nor ‘unconditional.’ Based on the non-exclusive and conditional clause, the petitioners argued that there was no transfer. However it was held that the provisions of the Act do not envisage the transfer should be exclusive or unconditional. Accordingly, recently, on 13th July, 2015, Maharashtra Government has come out with a Trade Circular No. 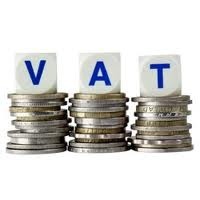 11T of 2015, clarifying that recent decision of Bombay High Court is comprehensive and it is now well- settled that VAT can be levied on transfer of right to use goods of intangible nature even if it is transferred to multiple users.